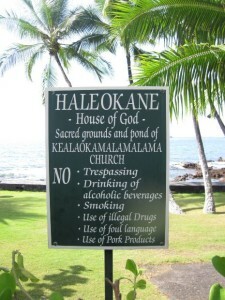 HONOLULU, Hawaii — A Hawaiian court has dismissed the majority of an atheist lawsuit that asserted that several area churches had bamboozled area public schools out of millions in rental fees. As previously reported, the suit, Kahle v. New Hope International Ministries, was filed by atheists Mitchell Kahle and Holly Huber in March of last year. Following a hearing over the matter, Judge Virginia Crandall agreed with ADF that there was insufficient evidence to prove that the churches have violated the law. However, she also permitted Kahle and Huber to refile the lawsuit with more specific details in regard to the accusations. However, during a hearing on Tuesday, Crandall dismissed the majority of the refiled suit due to insufficient evident of false claims submitted to the government. ADF had asked the court to dismiss the challenge in totality. As previously reported, one of the churches that had been a part of the suit, New Hope Church, agreed to pay $775,000 in February to settle the matter. According to reports, $200,000 went to Kahle and the rest to the state school system. The church, however, did not admit any wrongdoing, but rather stated that it decided to settle to avoid ongoing legal entanglements.